UPDATE, 9/22: The Humane Society is in talks with the USDA investigating a dog breeder in Kansas where a skinny puppy, Rally, came from. Rally was taken from a pet store in Olathe and now has a forever home. Mary Beth Johnston is Rally's new owner. "He's awesome. We're thrilled to have him as part of our family," Johnston said. 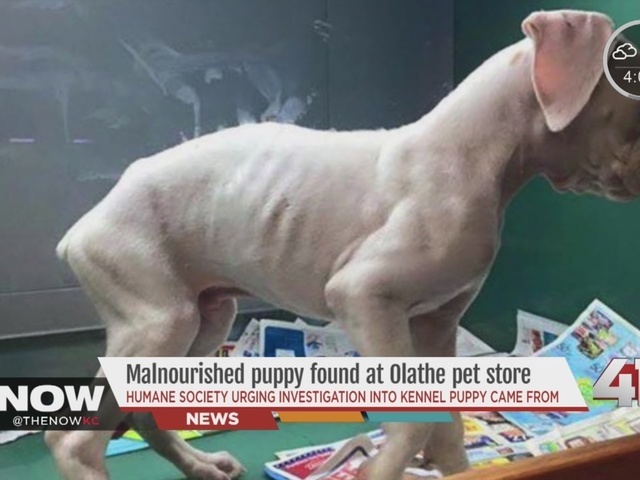 An Olathe pet store has to follow a new set of guidelines after a state inspection found reports of a malnourished puppy at the store were “founded,” according to the Kansas Department of Agriculture. 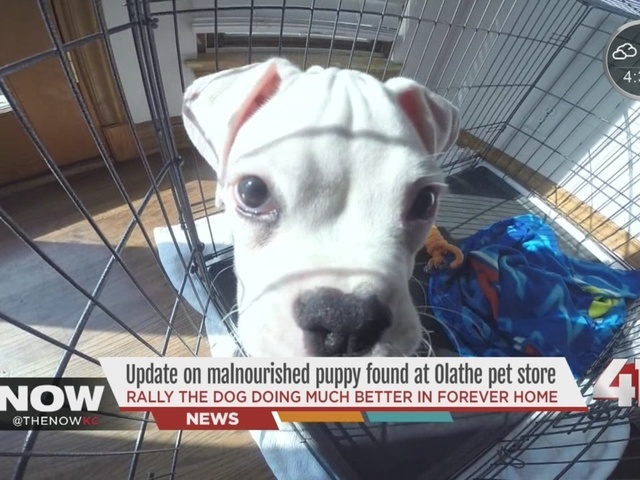 Photos surfaced on social media over the weekend of the seemingly emaciated puppy named Rally, a boxer breed dog at Pet Paradise in Olathe. The puppy’s ribs are showing in the photograph, and it seems unhealthily thin. Rally was saved over the weekend by a local woman named Mary Beth Johnston. Johnston said she bought the dog for $500. The dog had been listed as for sale for $900. Following reports of the dog’s condition at the pet store over the weekend, the Kansas Department of Agriculture carried out an inspection of Pet Paradise on Monday. The store passed the inspection, but officials found the complaint concerning the dog had merit. Therefore, the pet store must implement several new guidelines to ensure any ill or malnourished animals that come in are properly cared for, said Mary Soukup, a spokeswoman with the Agriculture Department. The pet store is in good standing with the state and has been properly certified since July 2014, Soukup said. Pet Paradise’s owner told state inspectors from the Agriculture Department that the dog was in that condition when they received it from Berntsen’s Kennel in La Harpe, Kan. The United States Humane Society conducted its own investigation into the situation and found that the dog has parasites and will need antibiotics for 10 days, said Cheylin Parker, a media relations specialist with the humane society. The U.S. Humane Society contacted the U.S. Department of Agriculture and urged them to open up a federal investigation into the kennel in La Harpe.